This course is intended to cover the portions of the Kovida exam conducted by the Bharatiya Vidya Bhavan. Kovida is the fifth and final level of the Saral Sanskrit Shikshak Series conducted by the Bhavan. The prescribed textbooks contain Grammar portions, and selections from works of various authors. 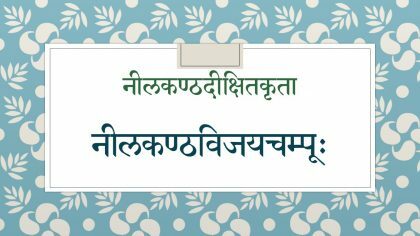 This helps the student in gaining a proficiency of language, in knowing and understanding the framework of Sanskrit poems and the different writing devices employed by the authors throughout. 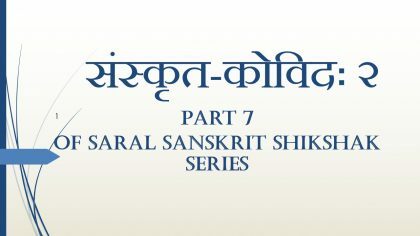 In the second part of this course, Ms. Visalakshi Sankaran covers some lessons from Part 7 of the Saral Sanskrit Shikshak series. 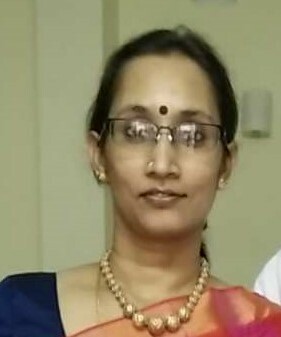 She has dealt with those portions which have been taken from famous Sanskrit works, and explained them in detail in easy, attractive Tamil. These audio lectures will be very useful for students preparing for the exams. Students who have passed the Parichaya exams of BVB. 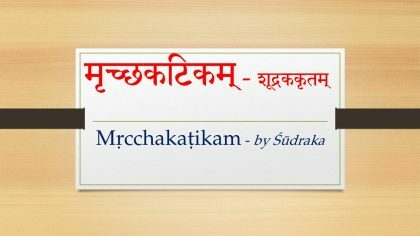 Part 7 of the Saral Sanskrit Shikshak series published by Bharatiya Vidya Bhavan.